Perhaps your first memory of drinking beer involved a can of Golden Anniversary or Piels. Until fairly recently — without picking on those brands — all canned beers were mass-produced macros with little flavor. 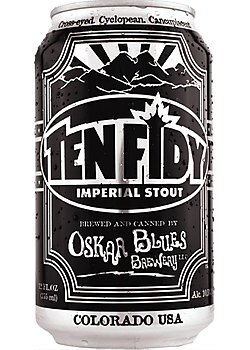 So as numerous craft breweries have started to can their beers (Oskar Blues was the first in 2002), the overall reaction has been mixed. Beer lovers are skeptical about the quality of the product inside cans. People were just starting to fall in love with craft beers in bottles, after all. And now there are cans to consider, too? There is a case for canning beers instead of bottling them, as history shows. New Jersey’s Gottfried Krueger Brewing Co. put out the world’s first beer can in 1935, stocking select shelves in Richmond, Va., as a market test. The experiment took off, of course. Today beer drinkers choose cans over bottles for most of the 22 gallons of beer they each drink per year, according to the U.S. Census Bureau. But considering cans may be painful for traditionalists who love their bottles – and there are still some skeptical brewers. It may also be tough for the average Jane who just switched from her grandpa’s canned brand and found some craft bottles she adores. So let’s talk about how beers benefit from canning over bottling. First, it’s a myth that cans impart some kind of metallic flavor to the beer. Beer cans have a special interior coating, so the beer never touches metal. (The dare is set for you to do a blind taste test and point out which beer is canned.) You are pouring your beer into a glass, right? You know, if you put the can to your mouth then you just may taste some metal! Beyond that, cans block 100 percent of light and are air-tight, two things no capped bottle can claim. Light and oxygen are the arch-enemies of beer! Still not convinced? Cans get colder faster and cans don’t break, making them much more accepted at beaches, pools and parks. Cans are “greener” than bottles in many ways. They stack more compactly and weigh less, which reduces transportation costs and fuel use. They’re more easily carried while camping or on picnics or hikes, and consumers are much more likely to crush their cans and carry them out for recycling. Cans are more easily recycled, and new cans are made from a high percentage of recycled materials. Naturally, all these advantages apply to mass-produced beer in cans as well as to craft beer. But craft beer is where the unstoppable canning trend lives. Are there negatives to cans? We can name a few. When canning, breweries need to order a certain number of cans with their “labels” already printed on them. Those need storage space, and if enough beer isn’t sold, the brewers are stuck with cans that can’t be used for other beers. Bottles don’t typically create that issue (unless they’re silk-screen) but this doesn’t sound like your problem anyway, does it? You might be more concerned that not all canned beer comes in the new, fancy six-pack holders that cover the tops of the cans. When uncovered cans sit on shelves, their tops get dirtier than bottle caps. Also, a few retailers will break open six-packs and sell singles, making any holder moot. Yeah, you can clean the cans before opening, but that’s a hassle and sometimes not practical or possible (although not really a deal-breaker). Canned craft beer is here to stay, and you will see more and more choices of canned beer over time. The next time you see craft beer in a can, don’t think, “Oh, no”!, think, “Oh, Yeah”!